The Zeta Plus C1, a fan favorite variable MS from the classic 1987 Gundam Sentinel series, makes a long-awaited debut as a Metal Robot! 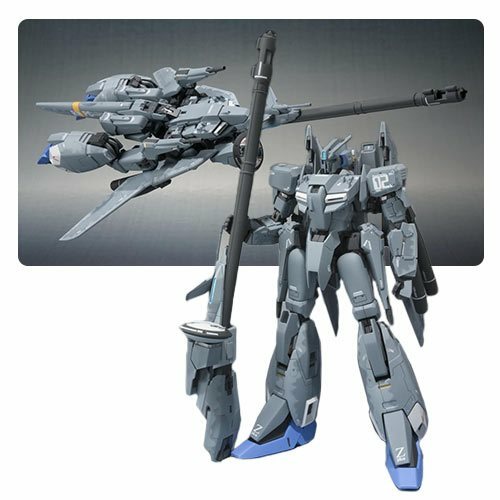 The Gundam Sentinel Zeta Plus C1 Metal Robot Spirits Action Figure features detailed markings and die-cast metal parts for both satisfying weight and durability. Seamlessly transforms into Wave Rider mode, with detachable landing gear parts included. The long-barrel beam smartgun is rendered in accurate detail, including a folding grip and a waist mount hardpoint, allowing it to be posed in both hands. The set includes 4x pairs of hands, the beam smartgun, 2x beam saber pommels, 2x beam saber effects, a joint set, a stand, and a set of landing gear parts. The figure measures about 5 1/2-inches tall.